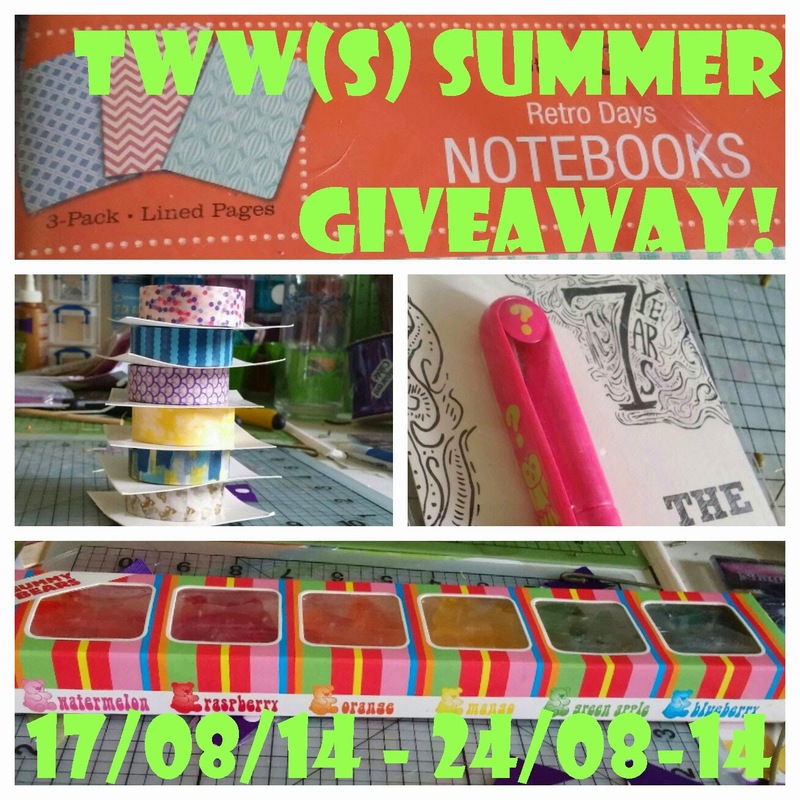 It's that time of year again - Giveaway time that is! 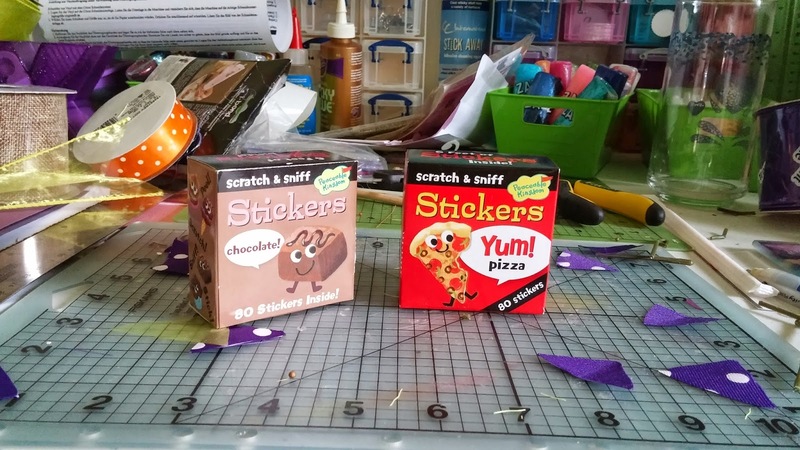 Summer might now be winding down, but the IGGPPC Summer Camp is in full swing! To commemorate the IGGPPC's first annual summer camp (assuming this becomes an annual thing, because it totally should! ), I thought this would be the perfect week to giveaway some interesting items. I've got some supplies to help you iggles with "writing home" from camp, along with a few other treats. 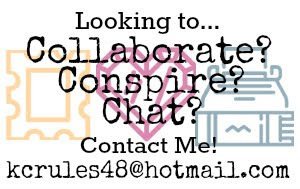 Check out the details with the Rafflecopter app below, and under that I'll show off all of the prizes. This giveaway is also being hosted by the lovely people at the IGGPPC, go ahead and Click Here to go to the blog post on their site where this giveaway is located. 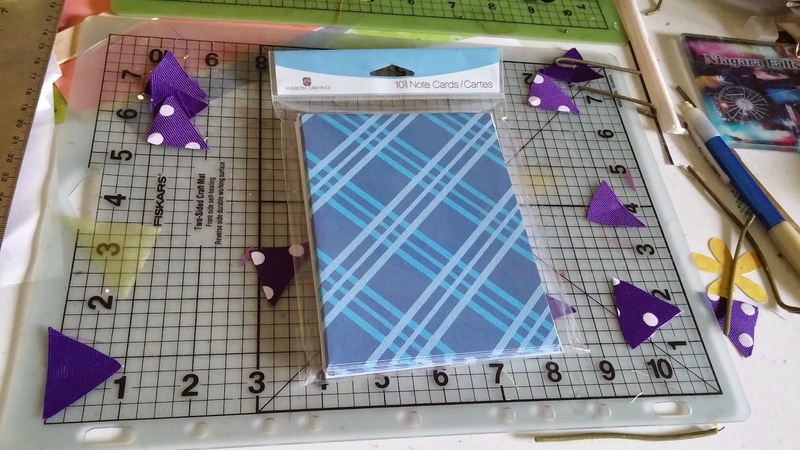 10 Pack of Blue Pattern Note Cards! I scored these from my local Carlton Cards, and their stuff is always of the highest quality. This pack comes with 10 envelopes as well that are the perfect size for mailing. Hopefully if there are any other note card addicts out there like myself, you'll be able to appreciate these simple cards and have the perfect people in mind to send them to. Another 7 year pen to give away to another lucky recipient! We've only been selling these at the bookstore where I work for about 5 years now, so I can't say if this pen's promise to be able to write 1.7 meters every day for 7 years is actually true, but surely one of you guys will want to test that out for yourselves! 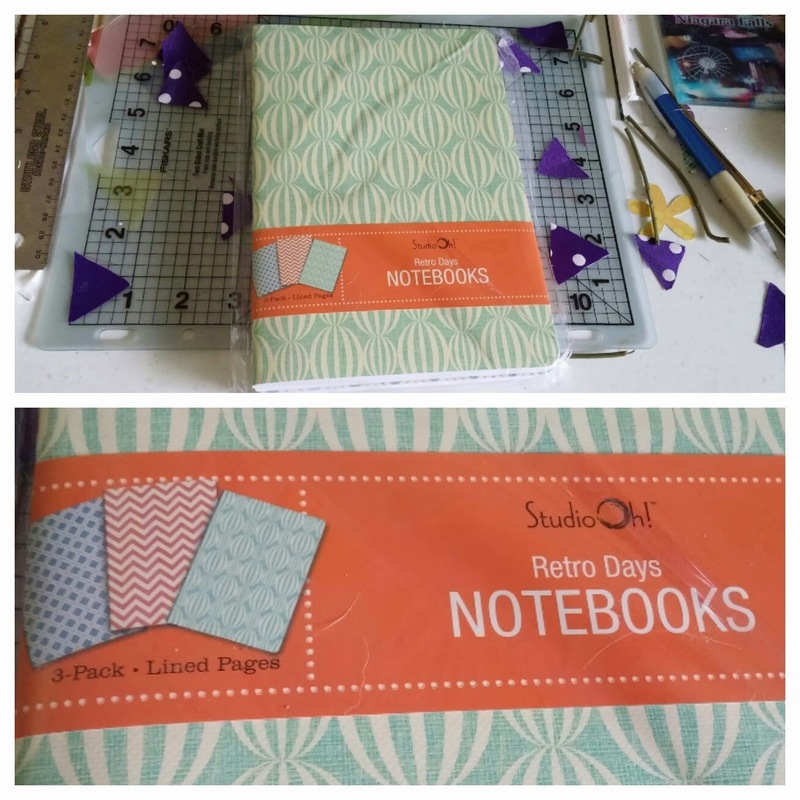 3 Pack of "Retro Days" Lined Notebooks! Just like the 3 pack of notebooks I included with my spring giveaway, all of these notebooks are filled with lined pages and are decorated by attractive colours, each one sporting a different retro pattern. The orange chevrons would definitely be my favorite of the three in this pack, but you can always let me know which would be your favorite in the comments below. 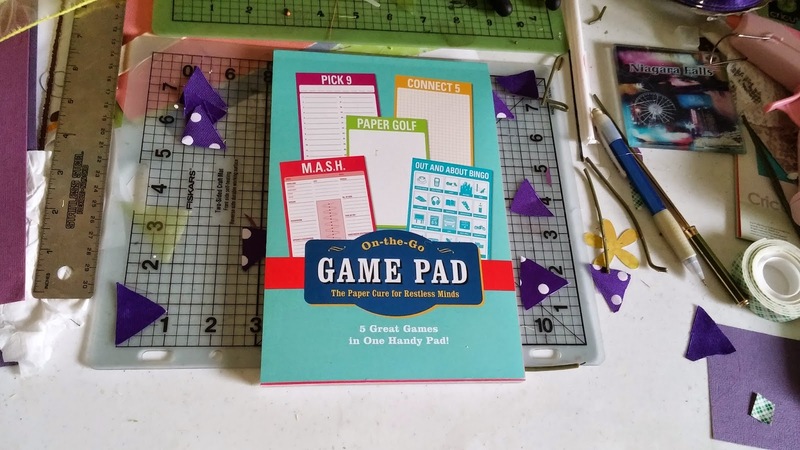 On The Go Game Pad! 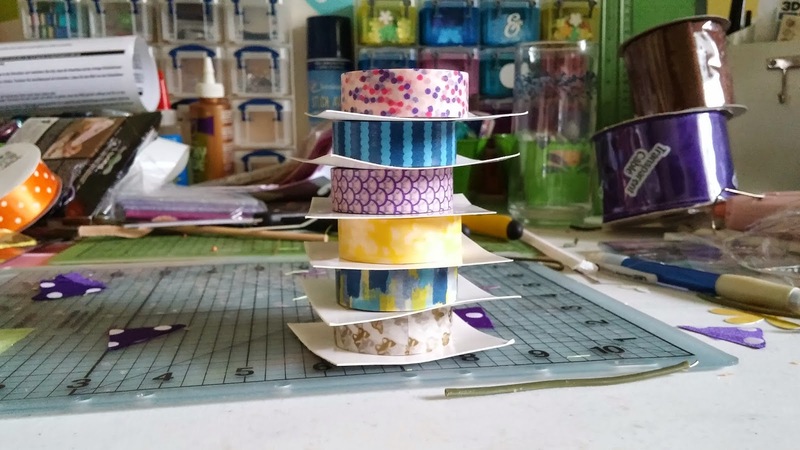 6 High Quality Washi Tape Rolls! I ordered these from the website of the company I work for, Indigo Books & Music. They sell high quality merchandise, and this definitely includes their stationary items. I picked out 6 different washi tape patterns just for you guys, which should keep all the washi tape addicts out there, like myself, busy for a good long while. 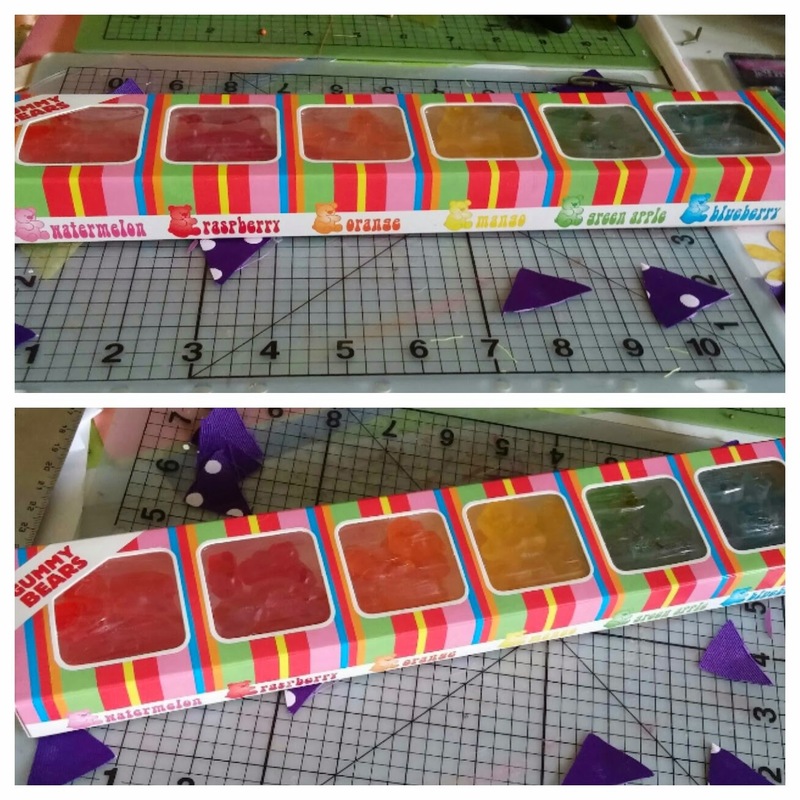 Box of 6 Flavors of Gummy Bears! 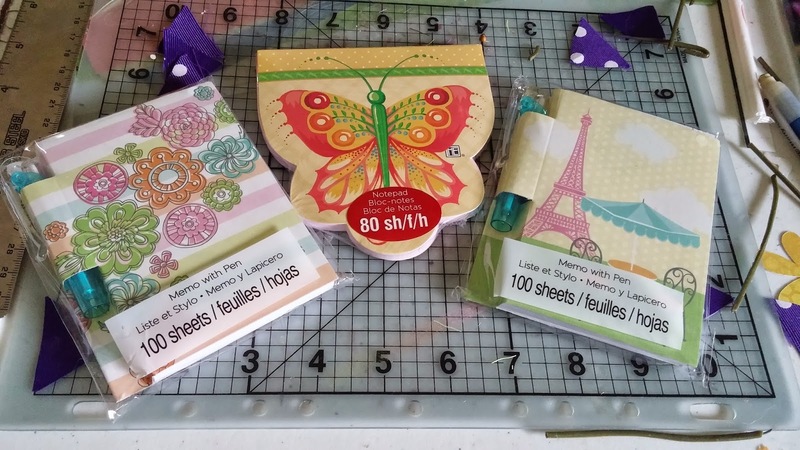 One Notebook with Patterned Paper/Stationary Paper! This would probably be one of my favorite prizes to be giving away to one lucky winner. 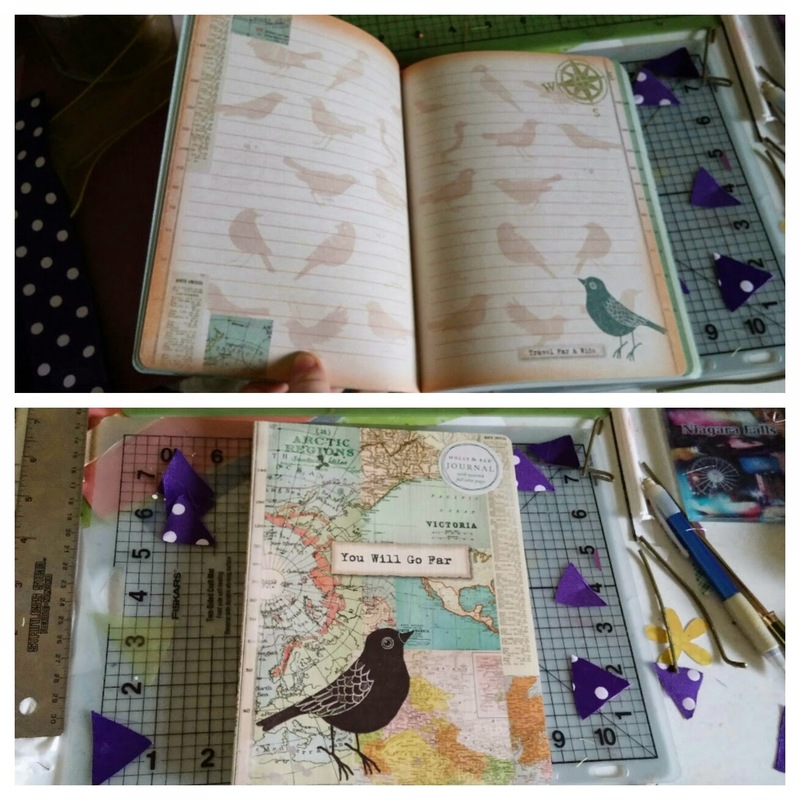 I own a notebook like this - not this exact one but made by the same company - and instead of using it as a regular notebook, I use an exacto knife to razor out the lined pages and BAM! Instant stationary. There's 4 designs that make up the pages of this notebook, and it's a great way to gain some nice stationary without having to buy an expensive set where the paper is perhaps not lined or too small of a size to write on properly. Of course, it can be used as a simple notebook as well; nothing wrong with that. I've never tried putting stickers on my nails before, but they look like they would stay on pretty well, plus they're a nice size so you can add more than 1 sticker to each nail if you wanted, even if you have really short nails like I do. 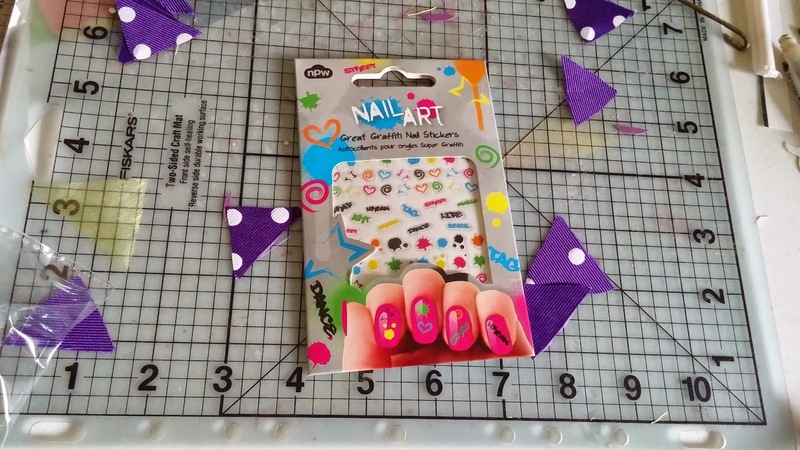 Lately I've been getting more and more involved with nail art, and these stickers look like they would brighten up any style of manicure or pedicure. These three little gems were picked up at Michaels, and 2 of them even come with a small pen to help you keep notes on the go. The notebook in the middle shapped like a butterfly is definitely precious too. 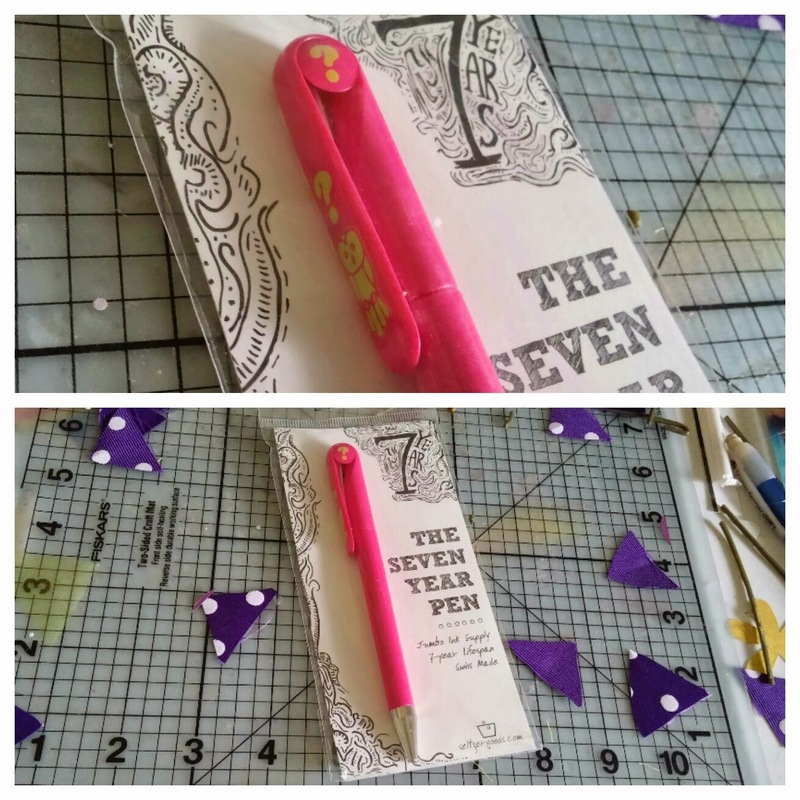 If you're anything like me, I always like to keep some sort of notebook and pen on hand to jot down any ideas that come to me, and these small-sized notebooks would be perfect to just throw into a purse of back pocket before you leave home. Wow, there are so many awesome goodies. This is a very generous giveaway. Thanks, Kacie! Those gummy bears look off the hook! Thanks.